One of the things that brings us great joy is growing flowers to cut and place inside of our home. We love the way fresh flowers offer joy, beauty, and gratitude to our day. We appreciate having the ability to cut flowers when we want, plop them in a vase or bowl, and instantly receive the good feelings that they provide. If you adore the idea of having fresh flowers available for your home, whenever you want them, consider planting a cutting garden. There are several blooms you can choose from to give you an endless supply of flowers for stunning bouquets, and even single-vase displays, in your living space. We have a thing for peonies. We love these graceful and passionate blooms that seem to speak of so many feelings close to our heart. 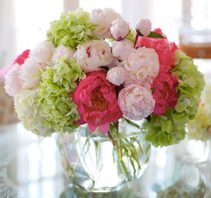 Peonies are large flowers that can stand alone in a bouquet or add substance to any arrangement. 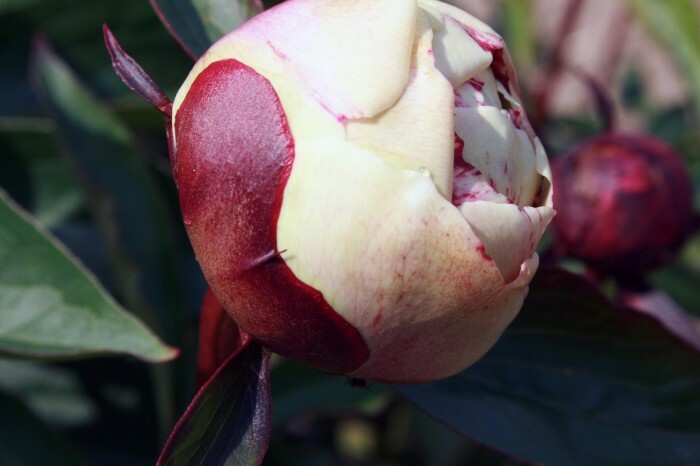 They come in many varieties, but we especially love white “Festiva Maxima” peonies. Giant white calla lilies are on our list of top flowers for a cutting garden. They can grow up to three feet tall and they offer blooms from mid-spring to late summer. Calla lilies have a deep chalice-like spathe that ends in a smoke-like wisp, which makes them eye catching when placed on their own or with other cut flowers. The iris is easy to grow. It prefers full sun, but it does well in partial shade and even in moist soil. For your cutting garden, consider the “Dreaming Spires” iris, which is a moderately sized cultivar that reaches three feet tall. This flower also blooms from mid-spring to early summer. In addition to these flowers, consider delphinium, penstemon, roses, bird of paradise, and hyssop for your cutting garden. Do you have a particular flower, or a collection of flowers, that you like to grow in a cutting garden? If so, we’d love to hear from you in the comments below! One of the things that brings us great joy is growing flowers to cut and place inside of our home. We love the way fresh flowers offer joy, beauty, and gratitude to our day. We appreciate having the ability to cut flowers when we want, plop them in a vase or bowl, and instantly receive the good feelings that they provide.If you adore the idea of having fresh flowers available for your home, whenever you want them, consider planting a cutting garden. There are several blooms you can choose from to give you an endless supply of flowers for stunning bouquets, and even single-vase displays, in your living space.